I am already behind the timelines I set out for myself with my most recent task list. I came down with a cold last week that knocked me right out of commission. In addition to the general blahs that come along with being sick, I also wasn’t sleeping. I was exhausted and any spare time I had where I wasn’t looking after the girls was spent in my bed! All that to say that here is my most recent project – only 5 days late. After living with it for a few months, I decided I wanted something different. Switching up artwork is one of my favourite ways to change up the decor in a room. It doesn’t need to be costly and there are plenty of DIY projects out there for inspiration. 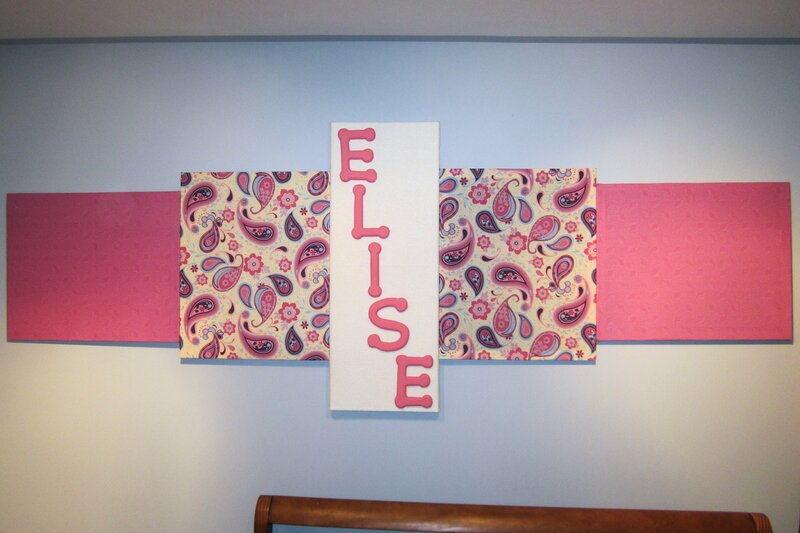 DIY fabric artwork after: colourful, fun and full of personality! The new design is much more fun and radiates personality. Best of all? I did it myself and it didn’t cost a lot. The first step is you find your frames. As I mentioned, I already had frames that weren’t being used so check the basement first! Also, look into second-hand stores or dollar stores. Because the frames are being covered, they don’t need to look pretty. Definitely think outside the box on this one. You can also use canvas, styrofoam, or shoe box lids! Next, find some fabric. I loooooooove visiting Fabricland. It’s a great place to get colour inspiration and they always seem to have a sale going on. I knew I wanted something with blue and pink because of the existing colours in the room. I didn’t want to paint the room or purchase new accessories to match the artwork. You can also use paper for this step: wrapping paper, scrapbook paper or kraft paper. Find some colours you love and a design that works for you and go with it! 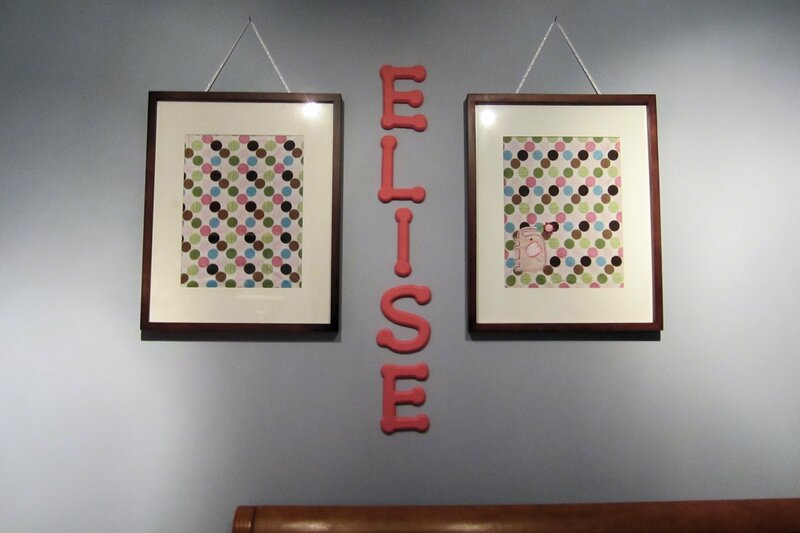 The next step is to attach your fabric to your frames. I used a staple gun but spray adhesive or a glue gun can also be used. Next, figure out your layout. Play around until you find something you like. Good luck with your DIY artwork projects and remember to have fun and be creative!